IFK Zimbabwe branch chief Tawanda Mufundisi is confident in his team to battle for the All-Africa So-Kyokushin karate tournament set for today at the Chitungwiza Aquatic Complex. 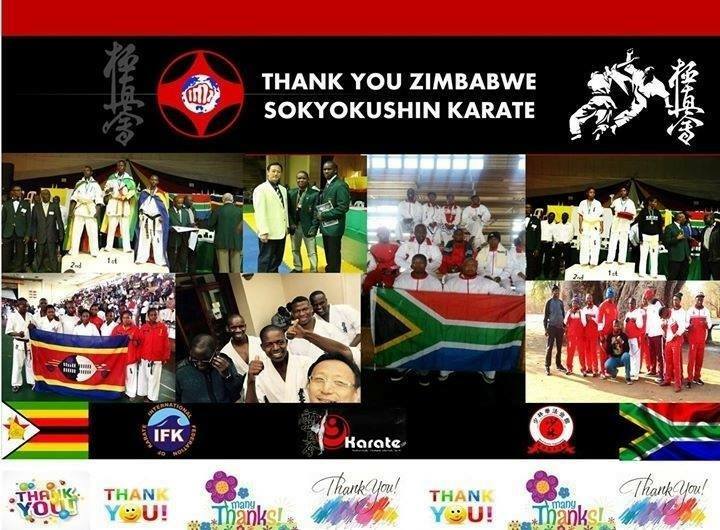 The tournament, being hosted by the Zimbabwe So-Kyokushin Karate, has attracted full-contact style karatekas from South Africa, Malawi and Swaziland. Participants will compete in juniors, senior women and men categories made up of various weight divisions. Mufundisi said they were going to field 23 fighters for the event with senior fighters such as Farai Gosha, Blessing Chakandinakira and Robson Mucheni expected to lead the team. “We expect a lot of medals from the event. Since this is a big event we have selected our best fighters for all categories. These guys from IFK will take everything on offer. It’s going to be tough with South Africa likely to give us a good challenge. “We have been competing in South Africa and we have beaten them before so they would want to turn the tables this time around. It’s an advantage that the tournament is being held at home, it means less expenses and we hope our athletes will do well,” said Mufundisi. Mufundisi said they will be using the event to prepare their fighters for other international events to be held in Germany and Russia later this year. Sport, Arts and Culture Deputy Minister Tabetha-Kanengoni-Malinga is expected to grace the tournament. Shihan Jiyuu Shibat from Japan and Shihan Bas van Stenis from South Africa will also attend the tournament. 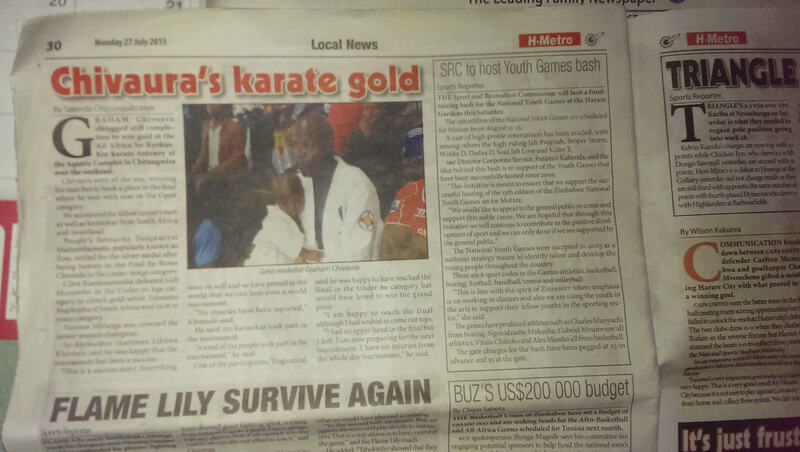 Zimbabwe So-Kyokushin Karate branch chief Samson Muripo said he is excited to host their first All-Africa So-Kyokushin karate tournament. “I feel quite honoured to have Shihan Jiyuu Shibata from Japan here as we host our first major tournament in the history of karate in Zimbabwe. “I am very passionate about karate, it is my life and it is was my biggest dream to host a world tournament in Zimbabwe one day, something I wished to be remembered for besides my achievement as the first African to be crowned World Champion. I believe hosting the first All-Africa So-Kyokushin Karate tournament is the first step towards that big dream,” said Muripo. The former world champion paid tribute to South Africa’s Shihan Bastiaan Lindert van Stenis for assisting Zimbabwe develop the sport over the years. “God has blessed my nation in sending great mentors like Shihan Bastiaan Lindert van Stenis who have supported us for the past twelve years helping in the growth of the sport. “I have met very talented and determined young fighters from Zimbabwe, South Africa, Malawi, Swaziland, Zambia and Namibia who have left me with no doubt that I will certainly not be the first and last African to be crowned World Champion,” Muripo said. Muripo said the tournament was a platform for the participants from different countries to learn and embrace the talent within the continent.